The Park Chelsea map currently lists all Chelsea's open space opportunities. One addition is to add walkng trails to the map. here's some city's with walking trails embedded into the community. ... if you live in Milford or Franklin, you no longer have an excuse not to get out and walk. The map, once printed, will be available at town buildings and local businesses, and online, she said. And as well as teaching about landmarks and distinctive historical points, the maps can also help to illustrate that some walking trips aren’t as long or as ominous as people might think. “I hope that people will find new routes for walking that they didn’t know existed,” Dahlstrom said. Sidewalk stamps for “Little Engine that Could” walk. WalkBoston makes walking safer and easier in Massachusetts to encourage better health, a cleaner environment and vibrant communities. Our education and advocacy programs give voice to citizens to make their communities more walkable. A non-profit organization, WalkBoston has worked in over 65 communities across the Commonwealth. 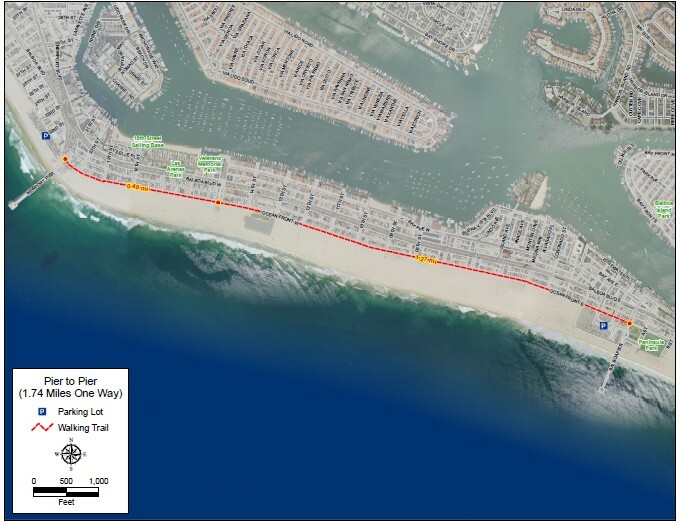 Our maps are created in conjunction with local organizations and people with expert knowledge of the area. To learn more or support us, visit walkboston.org. 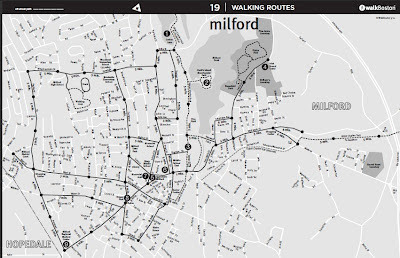 This Milford walking map was developed and printed with funding from the Metrowest Health Foundation. It was produced through partnership between WalkBoston and Healthy Futures Milford, a community-wide collaboration to promote healthy eating and physical activity.